For the second time in three years, a Knockaderry native has been accorded a top honour in his adopted New York to coincide with the St. Patrick’s Day festivities. 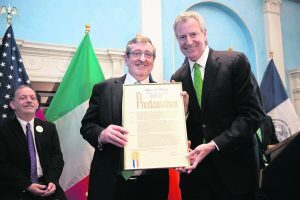 In 2017, Knockaderry man Michael Dowling served as Grand Marshal in the city’s St Patrick’s Day parade; and this year, at a St. Patrick’s Day Breakfast in Gracie Mansion, Mayor of New York Bill de Blasio declared March 16th ‘Michael Dowling Day’ across New York City in recognition of the West Limerick man’s work as President and C.E.O. of Northwell Health, New York State’s largest health care provider, which employs 68,000 people. “Now a chance to honour someone extraordinary. 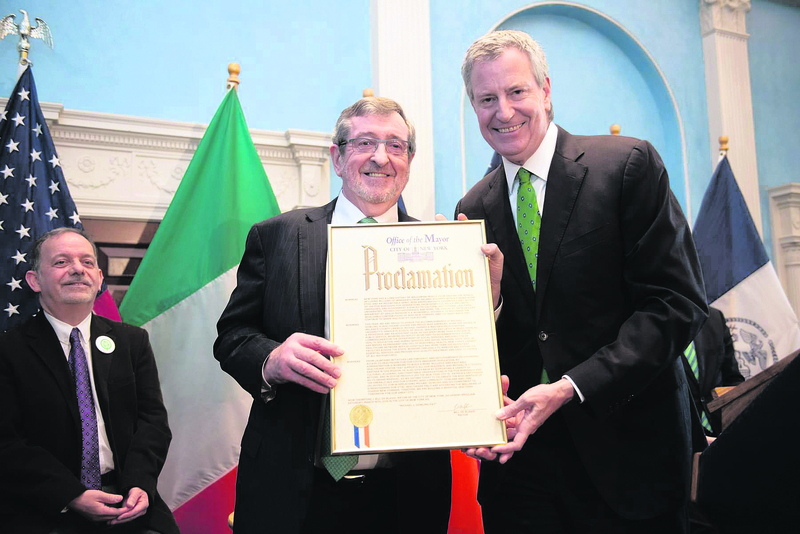 He embodies all that is good, all that we honour and respect in the Irish immi-grant experience,” Mayor de Blasio told the audience before awarding Mr. Dowl-ing with the proclamation. “Michael started off here as a dock worker. Lord knows, not born with a silver spoon in his mouth,” said Mayor de Blasio. “But he worked and he worked and he worked some more. He ultimately received a master’s degree from Ford-ham University, worked as an educator and public servant for the state government and then did something extraordinary. He took over a major health system and made it greater and greater and greater. Michael has done so much for New York City, for New York State, for this country and for the Irish community,” Mayor Blasio concluded.